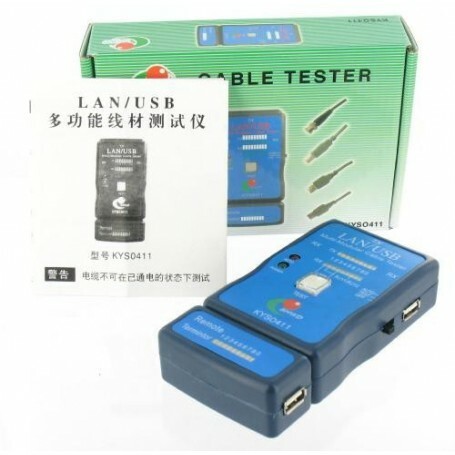 The LAN/USB Cable Tester is designed to easily read the correct cable pin out configuration. The cables include of the USB(A/A), USB(A/B), BNC 10Base-T, 100Base-TX, Token Ring, AT & T258A, Coaxial, EIA/TIA568A/568B and RJ11/RJ12 modular cables. You can use connect cable if you want to test BNC, Coaxial, RCA modular cables. IF you want to test cable installed far away either on patch panel or wall plate which can use the Remote terminator. The LAN/USB Cable Tester tests RJ11/RJ12 cable, please use the appropriate adaptors and follow the above procedure. So you can use it very easy and correct. Using the master tester, plug one and end of the tested cable(RJ45/USB) to the marked with "TX" and another end of tested cable to the marked with "RX" or Remote terminator RJ45/USB connector. Turn the power switch to "TEST". In the step by step mode, the LED for pin 1 with light up. With each press of the "TEST" button, the LED will scroll in sequence. In the "AUTO" scan mode. The upper row of LEDs will begin to scroll in sequence from pin 1 to pin 8 and ground. Reading the result of LED display. It tells you the correct status of the tested cable. If you read out the incorrect of LED display, the tested cable with the short. open. reversed. misfired and crossed. 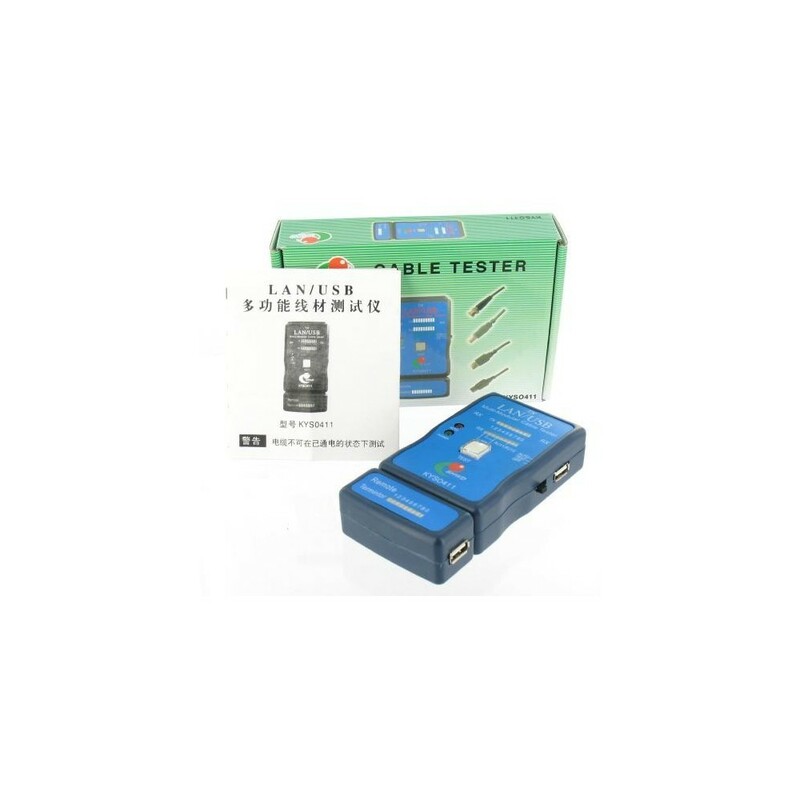 Test Mode: Automatic/Step by Step Mode.